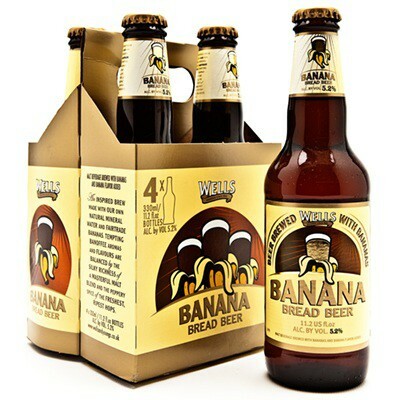 This unique brew combines all the traditional qualities and style of a Charles Wells bitter with the subtle flavor of banana. Its flavour unfolds with a sensual sparkle and a smart crispness, which balances its aroma perfectly. Tropically fruity; its ripe banana flavor, emphasized by a hint of bitterness, comes from the addition of real fair trade bananas and finishes with an emphatic, steely dryness.